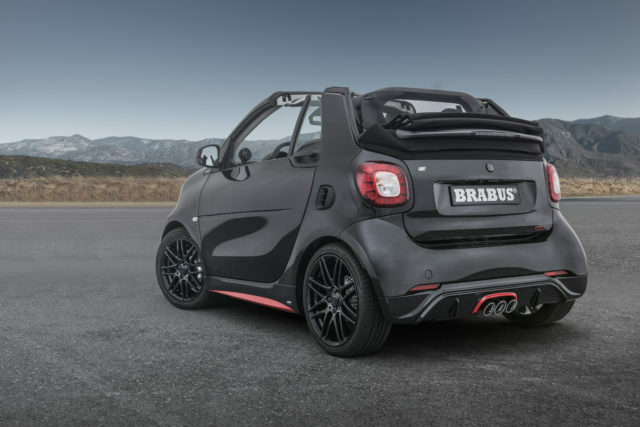 Brabus has released a sporty take on Smart’s ForTwo city car. Called the 125R, the compact two-seater packs a tuned three-cylinder turbocharged engine with 123bhp and 200Nm of torque. It’s capable of powering the car to 60mph in just nine seconds, and onwards to a top speed of 109mph. 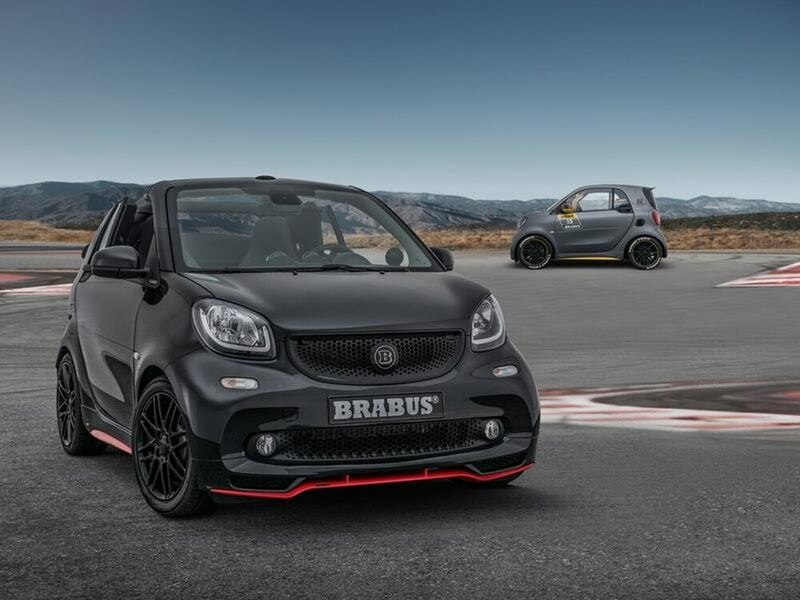 Brabus has also fitted a range of aerodynamic components to the 125R, along with lowered suspension and sticky Yokohama tyres for optimal handling. Limited to just 125 units, the 125R also comes with a high-performance stainless steel sports exhaust, with three-exit tailpipes. Brabus created a modified intake system and more efficient intercooler for the car in order to boost its power output. Inside, the 125R benefits from contoured sports seats finished in black leather, while the headrests are embroidered with the Brabus logo. A carbon-effect finish has been applied to the dashboard, while the whole cabin is complimented by aluminium pedals with a matching footrest. Available in either gloss black or matte titanium colours, with exterior components on the former finished in a contrasting red shade. Titanium-coloured cars gain aerodynamic styling touches painted in gloss black. Each car features a full media package, including a JBL sound system and DAB digital radio. Despite being incredibly compact in size, the 125R is also fitted with a reversing camera to aid with parking. The Brabus 125R is currently priced at €39,900 (circa £35,900) and is available to order now.